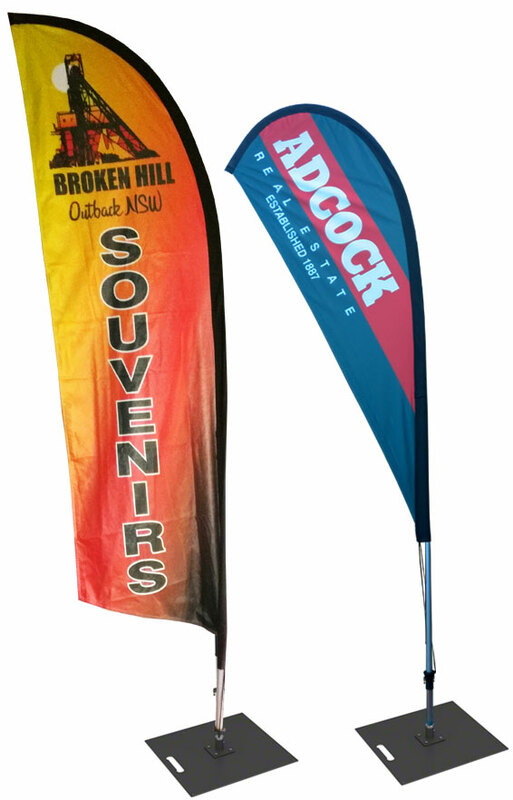 Flag Banners are lightweight, portable and easy to assemble. High quality Dye Sublimated print on 110gsm Fabric for single side printing and 350gsm long lasting blockout fabric to acheive 100% block out effect for Double sided print. Fabric is also Flame resistant. Our pole system is super heavy duty with excellent outdoor durability. With multiple base options such as Spiky Base, Cross Base, Cross Base with Water Bag, Wall mounted, Vertical Floor Mounted or U-shaped Car Base are available to choose from to suit your needs. Flag Banners can be used any environment conditions.